Powder coated steel housing proven to withstand up to 3500 lbs. of force DC charger control board and plug-in transformer, included. Battery backup powered by a 12 Volt, 1.2 amp. hr. battery, included. Solar compatible, ideal for remote locations, or where AC power is not preferred. 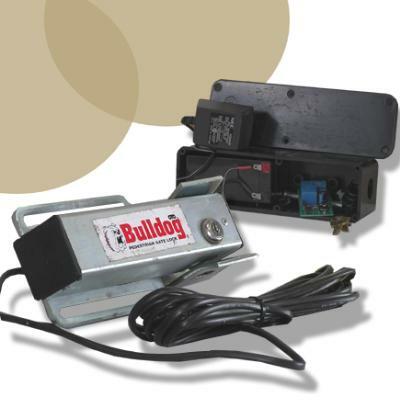 Basic mounting hardware (bolt on or weld), control box, and push button remote mounted control, included. Integrates into existing security and access control systems.